Are you worried about paying for a nursing home or other long-term care? Then you need the help of two professionals. You need a financial advisor and an elder law attorney—and you need them to work together. Unfortunately, not all lawyers play well with others. First, you need a financial advisor (you can include an accountant who’s actively involved in your finances here, too). This professional comes first because, frankly, he or she will be more involved in your retirement and more important to your financial well-being overall. Your financial advisor helps you manage your assets so you can live the life you want. He’s an expert in managing financial risk and achieving your goals. He’s your navigator as you sail through the waters of retirement. By contrast, a lawyer tends to play a minor role—until you’re in trouble. Lawyers are experts in managing legal risk and helping you secure benefits and enforce your rights. Your lawyer will help reduce some risk with good estate planning. Apart from that, you might not realize you need a lawyer until you’re in the middle of a long-term care crisis. If your financial advisor is your fair-weather navigator, an elder law attorney is the Coast Guard. Of course, an elder law attorney can help you avoid that crisis if he or she is involved sooner rather than later. Your financial advisor is key to making that happen. He or she can tell you when it’s time to find an attorney, before you think of it yourself. And your advisor can give you a place to start by recommending someone. Finding and hiring the right lawyer is hard; having a referral makes it much easier. So you should have an ongoing relationship with your financial advisor, and if you’re concerned about long-term care you should hire an elder law attorney as well. These two professionals—financial and legal—are your sword and shield. They work together to defend you and your family from the financial and legal risks you face. Long-term care insurance—This can be an important part of reducing both financial and legal risk in retirement. You need a financial advisor to explain the different policies, their benefits, and how they fit into your financial plan. But an elder law attorney can help you make an informed decision by explaining the alternative: relying on Medicaid, which is the de facto long-term care insurance policy for everybody. What would happen if you suddenly faced a bill of $10,000 per month for the foreseeable future? An elder law attorney can give you a clear answer to that question, and that might help you decide how important paying for private long-term care insurance is to you. 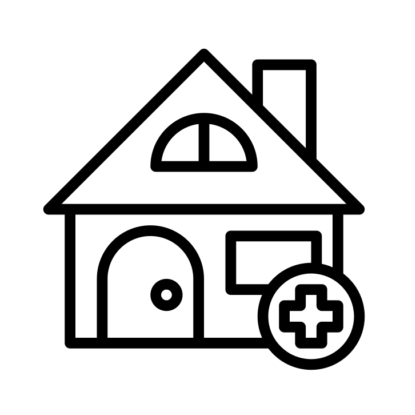 Preserving assets immune to estate recovery—If you do need to rely on Medicaid, you should know about estate recovery. After you and your spouse die, the state might claim whatever money you have left as a reimbursement for Medicaid benefits. But some assets are immune. An elder law attorney can identify those assets and work with your financial advisor to hold on to them if possible. That could mean that you’re able to give something to your family after all. Asset protection—One strategy for protecting assets from long-term care creditors and Medicaid is placing them in an irrevocable trust. You need a good attorney to do this advanced kind of estate planning. But it’s essential that your attorney work with your financial advisor throughout the process. That’s because an irrevocable trust will limit your access to the assets, and that can have big consequences for how you’ve planned to provide for your retirement. The last thing you want is to shipwreck your entire retirement because you fear something that might not happen. These are just a few examples. You can see how your attorney might recommend an action that could have big consequences for your financial plan, and vice versa. That’s why you need your professionals to work together. You might be surprised to learn, then, that it can be hard to get an attorney and a financial advisor on the same page. Usually the lawyer is to blame. A law degree tends to give the lawyer a bit more authority and trust. Lawyers get used to this. Also, lawyers tend to be busy and driven by deadlines, so a simple phone call might slip by them. Here’s the point: when you need an estate planning or elder law attorney, find one who will work well with your financial advisor. If your advisor recommends an attorney, that’s a good start (but not a guarantee). Meet with the attorney for a consultation. See if he or she asks if you have a financial advisor. Ask if the attorney works with clients’ financial advisors—then ask what the attorney’s process is for doing so. You want a lawyer who does this so regularly that it’s built into the system. Once you have financial and legal professionals working together, you’ll stand a much better chance of weathering the storms of long-term care and Medicaid. Next story What is asset protection?